With snow possibly with us in the middle of January and temperatures dropping by a few degrees each week, I think it’s safe to say that it’s definitely not the season for salads and light lunches. Now is the time to turn to our trusty Slow Cookers and let them do all of the cooking. Think about it, we’ve survived the hectic Christmas period, we deserve it! Prepare all of your vegetables. You can chop the veg into any shape or size you desire (we suggest that you make them chunky!). Secondly, you should seal the lamb to help retain the flavour. Coat the lamb with the flour and season with the salt and pepper. 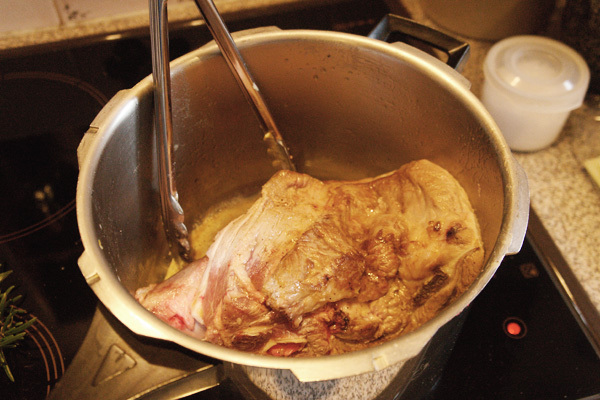 Heat up the oil and butter in a Saucepan on a high heat, and then add the lamb shoulder to the pot. Flip the meat over every now and then to make sure that it is brown all over. Once the meat has been sealed, pour in the red wine. 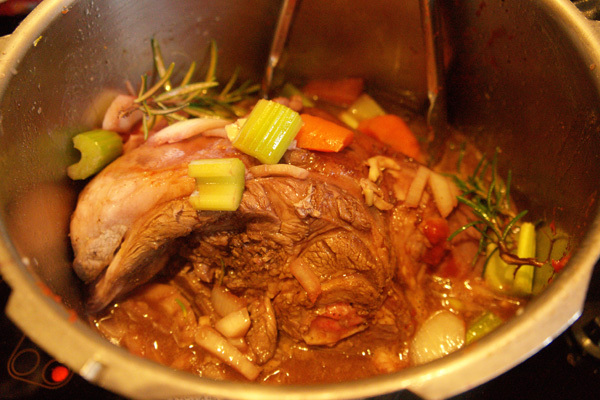 Let the lamb cook in the wine until a third of the liquid has been reduced, keep the pot on a high heat. Add all of your vegetables and extra ingredients to the pan and give it a good stir. 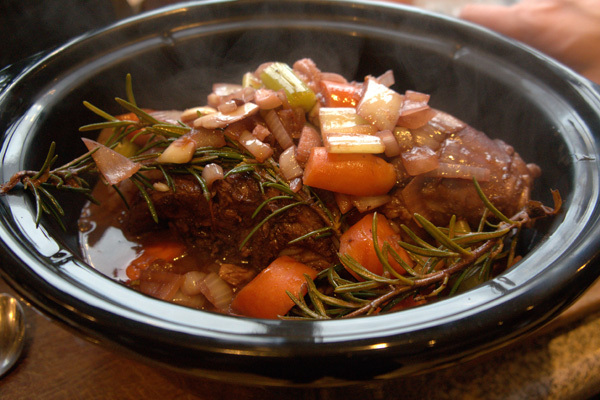 Transfer your lamb stew concoction to your Morphy Richards Slow Cooker and top up with hot water. Set the dial to Medium and slow cook for at least 5 hours. However, the idea of this stew is to carry on cooking until the lamb slips off the bone with complete ease (tasty tasty!). Why not make your dish extra delicious by serving it inside a hollowed out round loaf? 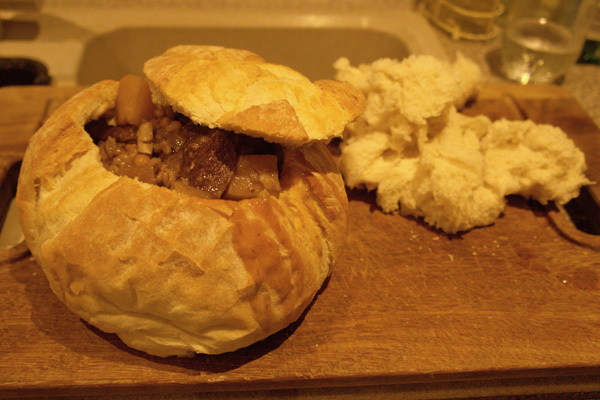 The bread will soak up the juices of the stew, which adds extra heartiness to your meal. Use the bread from the middle of your loaf to dip! Browse our website for Slow Cookers and a Soup Maker; all will make heart-warming (and easy to cook) meals on a wistful winter’s day! 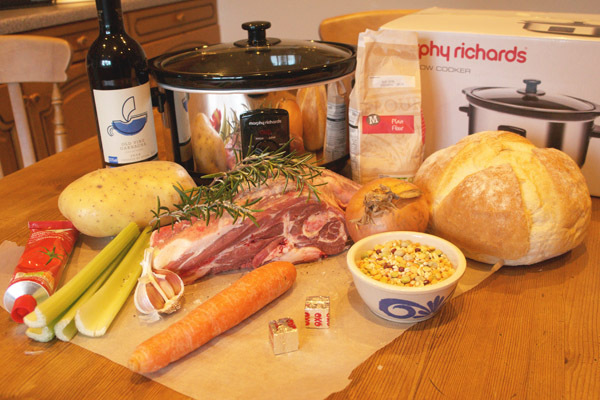 Lamb Stew, Morphy Richards, Morphy Richards Slow Cooker, Slow Cooker Recipe, Soup Maker. Bookmark. Philip Morris & Son – One Of The Small Biz 100!